Drivers that are confirmed to race at this event include Dirt Riot 2012 National Title holder Levi Shirley and his dad Brian Shirley. Texas locals, Clay Gilstrap with his fiancé co-driver Lindsay Syler. Crawling Chaos Club Members Carl Langerhans and Shawn Inman. Doug Kahlstrom will be in attendance along with Aaron Peters debuting his brand new Ultra4 car, and many others will register on Friday at the Driver Meet and Greet located at the park. The Stock Trail and Stock Mod 4×4 class will have common names at the Dirt Riot events including 2012 Central Series Stock Mod Champion Come Get Ya Some Duane Garretson. There are also over 10 UTV’s already registered to race including last series race winner Wesley Gryner and Matt Enochs. With only some simple safety requirements, anyone is welcome to join and race as part of the action! 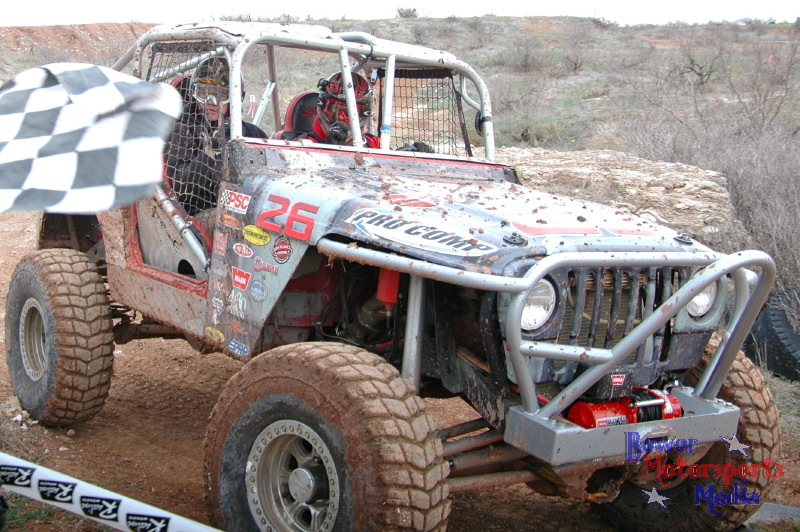 There are 3 Professional 4×4 classes, a Trail/Sportsman 4×4 class and a UTV class. 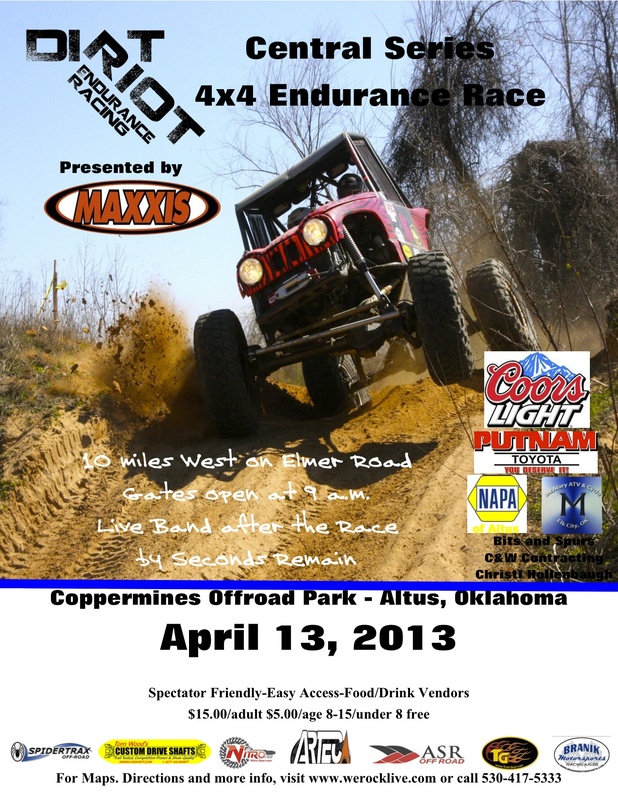 The classes are built to encourage local 4×4 or UTV participants to join us in a day of fun racing. For registration information go tohttp://www.werocklive.com/2013-registration-form. 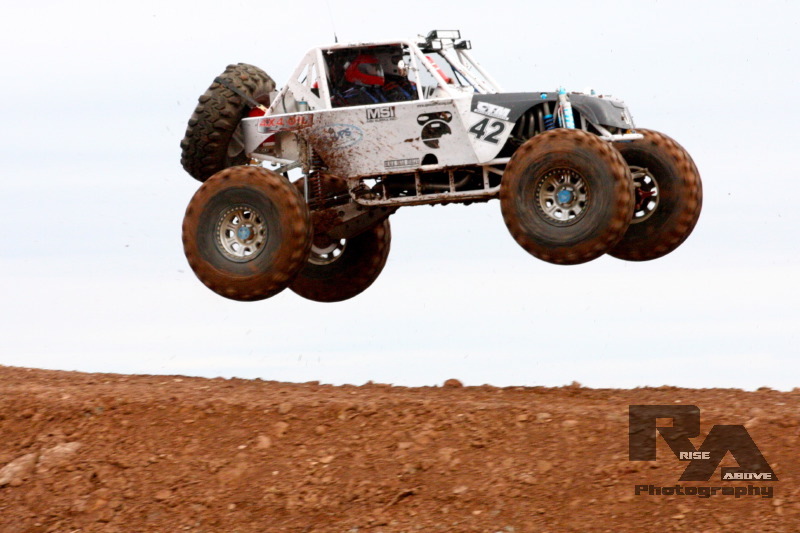 Dirt Riot is an Endurance Racing series that is composed of 4 series of 3 races that stretch across the country. Spectators are encouraged to come and enjoy the day of entertainment on Saturday April 13th. Qualifying for the 4400 4×4 group starts at 9am. Side by side racing action starts at 10am when three classes take the course at the same time for a one hour grand prix finish race: Trail Class, Stock, and Modified Stock. 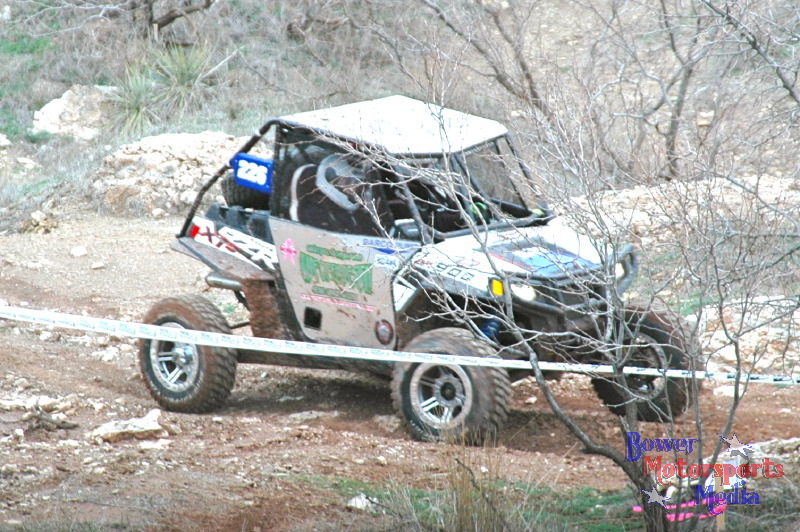 Following at 12:30pm, the UTV Class will race for one hour, followed by the professional 4400 4×4 at 2pm who will race for three hours with a grand prix finish at approximately 5pm. The winners of each class are determined by the most number of laps completed in the set amount of time. The awards ceremony and cash payout immediately follows the final race. Admission is $15 for adults, $5 for ages 8-15, children 7 and under free and Military with ID get $5 off. There are vendors, food and amenities on site, and we encourage you to bring chairs and shade structures. For additional details go to http://www.werocklive.com/events/dirt-riot-central-round-1. The race course is approximately 7.4 miles long and incorporates a variety of terrain including a modified motocross short course track, wash bottoms, rocky ledges, rally style dirt roads, rolling hills and goat trails. This year there will be additional pieces of the Coppermines Offroad Park incorporated around the Red Dawg Saloon including a stadium jump, the telephone pole wall, concrete drainage pipes and tank traps. It will be easy enough for UTV’s and Stock 4×4 participants to have fun, but tough enough for the Pro 4400 cars to be challenged.